Action folded to Rainer Kempe in the small blind, and he moved all in, having Sergio Aido in the big blind covered. Sergio snap called showing king queen, and Rainer had just nine deuce. But another deuce on the flop meant Rainer was in the lead, and Sergio failed to find a king or a queen to survive. 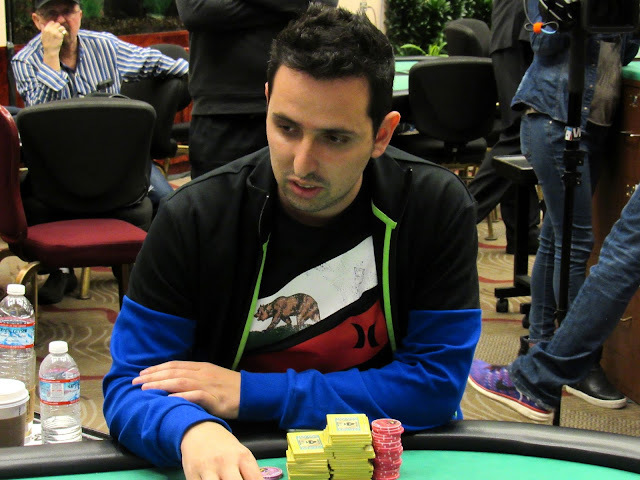 He will exit this tournament in 7th place, collecting $144,760 for his efforts.